You are currently browsing articles tagged Sony. I am offering one-on-one, individual instruction (or small group workshops) in all aspects of digital photography in the Boston and Cambridge, MA area. 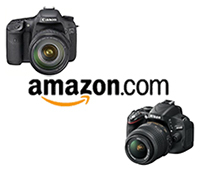 I will create a unique lesson with you that can include topics such as choosing a new digital SLR or advanced compact camera and related equipment, learning how to use the various settings and features of your digital camera, photographic composition and taking stronger images, processing and editing your images in Photoshop, and preparing for photographing while traveling. The lesson plan is up to you and is customized to your interests, needs, level of experience, and specific equipment. Subjects will be explained, demonstrated, and practiced in ways you will understand, remember, and use. Please view the Lessons page here, or under Lessons in the blog menu above, to learn more details. Learn to use your camera with confidence, get the most out of your digital SLR photography equipment, and learn to take better images. Get in touch with me at doug (at) dojoklo (dot) com or at 347-272-Seven Thousand. I’ve been selected as one of the Ten Finalists in the Conde Nast $25,000 Dream Trip Contest (out of over 70,000 entries!) with my photo Boys Emerging from Chuch – Pisac. This photo was captured on my visit to Pisac where I ran into some fellow Yanapay volunteers, and then we all got on the bus going the wrong way, as documented in this post. I was requested to submit an essay detailing my dream trip, in which I described a trip to visit and photograph the indigenous cultures of Laos, Cambodia, and Vietnam. 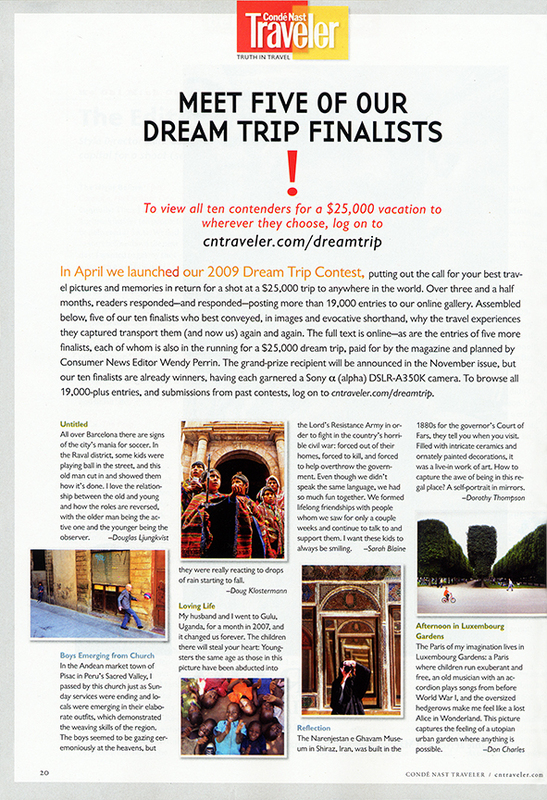 In addition, I won a Sony a350 digital SLR with an 18-70mm lens, and my photo was published in the October 2009 Conde Nast Traveler magazine. If you are interested in purchasing this new, never used Sony camera, head over to eBay here. too late!